In January, PIME Missionary Medical Relief Program Director Barbara Rubaie asked me if I could accompany and assist the annual dental mission to Mexico. 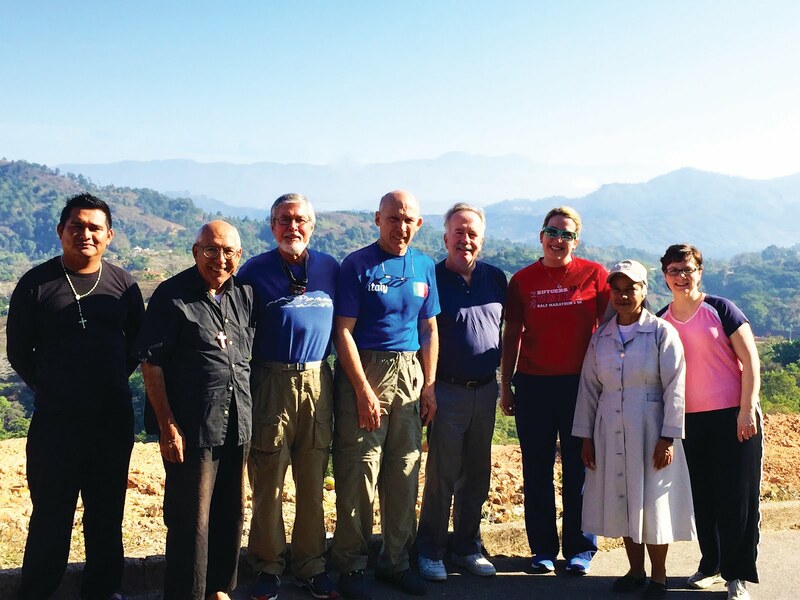 Doctors Barry Lofreddo and Donald DeLuke and the Parish of St. Kateri Tekakwitha in Schenectady, NY, have sponsored this trip for the last several years. The doctors were in need of someone to assist the dentists, as some of their original team were unable to make the trip that was scheduled in a few weeks. My thought instantly without hesitation was, “Yes!” Then after thinking about the area of the country I would be travelling to, I started to have some doubts. PIME’s mission is among the Mixtec people in Cuanacaxtitlan (Cuana), Guerrero, a state with historic security issues that recently included the disappearance of 43 students in Iguala, which is about five hours from the mission. And though I had lived in Mexico for many years previously, I did have some nerves about traveling to a rural area close to Iguala. After being able to make arrangements at home for going on the trip, I pushed aside these initial thoughts and was privileged to truly see how while not all of us can do great things, we can do small things with great love. Dr. Barry spoke these words by Blessed Teresa of Calcutta on our three and a half hour trip to Cuana and they stayed with me on the trip and remain with me today. I met with Dr. Barry, Dr. Don, Dr. Rory Ogden, Jay Howard and Cara Slugaski at the Houston airport and we all traveled together to Acapulco. Drs. Barry and Don had made this trip many times, each year bringing new volunteers with them as well as their dental supplies. They wisely observed the need to “go with the flow” in Mexico and the mission, as everything didn’t always go as planned. But despite the obstacles and difficulties they faced each time, such as all of their equipment being confiscated in customs the first year of the trip, they came back with fresh enthusiasm for serving the people and always with new plans. Dr. Barry spoke of the goals in making the trip: the care for the patients in need, mentoring and inspiring pre-dental students (such as Cara), a desire to improve the image of the United States and their own personal reasons. He emphasized that if any of these four areas broke down, the others remained and sustained them. PIME Associate Priest Fr. Deodato Mammana, pastor of St. Augustine Parish in Cuana, and his staff member, Adan, met us in Acapulco and took us all the three and a half hours to the mission. Fr. Deodato, all of his staff, along with Sr. Cecilia of the Missionaries of Mary Immaculate and St Catherine of Siena (known as the Sisters of Mother Laura or “Lauritas”) were so welcoming and giving. We could not have had better hosts, co-workers or friends. Fr. Deodato is from the Diocese of Sicily in Italy and had always wanted to be a missionary. Because of health issues, he was told this was not a possibility for him. He worked for many years in the Diocesan Mission Office but always felt the call to serve in the missions. When an opportunity arose, he was able to come to Mexico as an associate of PIME. In doing so he has left his doctors amazed at his health, which has never been better than in the mission. His commitment and simple, direct and warm style serves as a wonderful strength for his community. 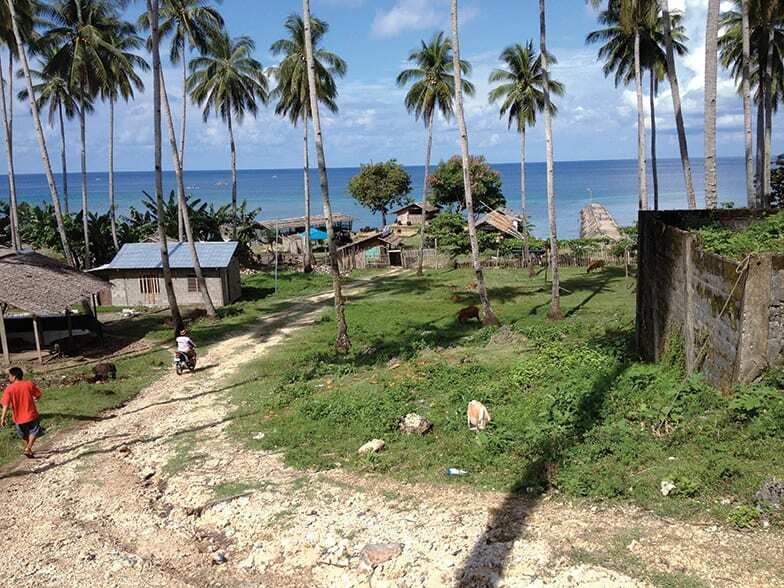 The people of the Cuana community and the surrounding areas have little access to health and dental services and little resources to pay for them. Livelihoods in the region include agriculture and microbusiness with some tourism in areas near the river. Poverty, alcoholism, spousal abuse, lack of education and security issues are factors in the region. Patients with major illnesses or injury would need to travel to Acapulco or another large city for diagnosis and treatment, the costs of which might be out of reach for them. Because of these aspects of the region, the dental team’s work focused on tooth extraction. 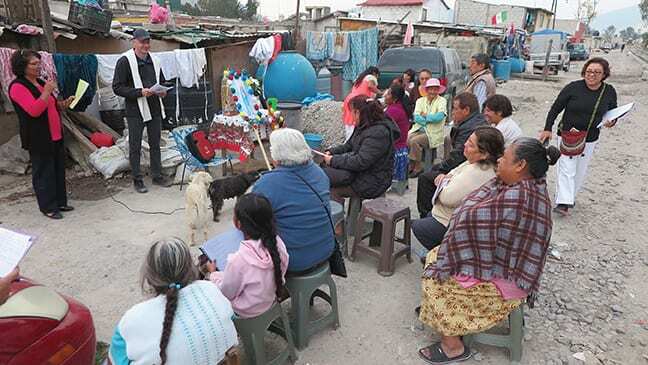 The team’s work began in the town of Yoloxóchitl at the catechesis center of the Sisters of Mother Laura. There, Sr. Cecilia joined the team by taking health histories and filling out a brief form for each patient. The people would indicate the decayed tooth or teeth in need of extraction and at times translations were needed when the dentists needed to communicate something more. I assisted the dentists as translator and, at times, as a dental assistant with the actual extractions. The second day the team went to the towns of Buenavista and Pueblo (Hidalgo). Buenavista had more Mixtec patients and Adan helped by translating Mixtec into Spanish, which I then would translate to English. After Buenavista we came to Pueblo in the early afternoon and worked until dusk. Unfortunately, the team was unable to tend to all the patients who had come seeking help there. Fr. Deodato had asked the pastors of the parishes announce the dental visit ahead of time but we were never sure how many patients might show up in a determined location. The last two days of the trip were at the mission in Cuana, and we worked from a small medical office located there on the parish grounds. The greatest number of patients was cared for here – close to 70. In all, the team saw 127 patients and performed 218 extractions. While the trip was a success in regard to the goals Dr. Barry spoke of, it was also a success in terms of the great love the dental team shared with the people of Guerrero and Hidalgo.